Enjoy the best bold straight look with our sleek straight Virgin Brazilian Hair. 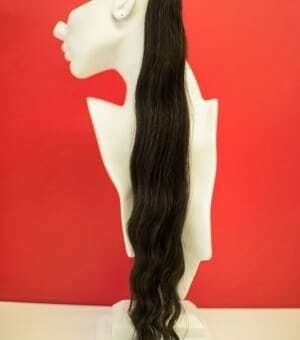 Brazilian Straight Virgin Hair is very close in look and texture to European Virgin Hair. This beautiful texture comes in natural dark browns to natural light brown colors. Have fun styling with a curling or wave iron and revert back to its natural straight state by shampooing and conditioning with our recommended Joico products. 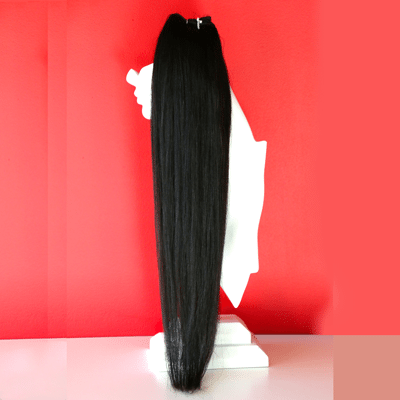 Our Virgin Brazilian hair comes directly from Brazil. All of the natural cuticles are intact to achieve maximum versatility. Experience the elegance of this straight Brazilian hair by styling with a curling iron or a waving iron. This hair can be glorious in salt water or a swimming pool. Be sure to Shampoo and condition after enjoying water related activities. About Straight Brazilian Virgin Hair: This hair is completely natural and unprocessed. To achieve maximum glory shampoo and condition hair with Joico moisture recovery shampoo and conditioner. This hair quality will become better and better when properly cared for and can also last 2-3 years with proper maintenance. Be sure to shampoo and deep condition at least once a week or more often and you will reach full potential with this wonderful Brazilian Virgin Hair.